The Great Process comes about when the Divine Intervenes, Appears, Incarnates, Blesses and Teaches the understanding and the transcending of ego -- such that the direct Divine Blessing may be received and the Great Divine Yoga may be entered into. This is What I do. Adidam is the new Reality-Way established by His Divine Presence Ruchira Avatar Adi Da Samraj. It was founded more than 36 years ago by Avatar Adi Da as the Transcendental Spiritual Way for those who recognize His unique Revelation of the Divine and enter into relationship with Him as their Spiritual Master for the sake of ultimate Awakening. The Reality-Way of Adidam Ruchiradam is a relationship Avatar Adi Da offers freely to everyone -- a tangible and effective means to consider, feel, experience, and (ultimately) identify with Reality itself, which is nonconditional Love-Bliss. Adi Da has generated a vast body of written and verbal teaching, which we feature in our center and reading room located just outside Washington, D.C. in Potomac, Maryland. We hold a range of events and classes throughout the mid-Atlantic, southeastern and southern areas of the U.S.,* including introductory evenings, study groups, education courses and retreat weekends, where you can learn more about Avatar Adi Da and His Wisdom-Teaching first-hand. We hope that you will contact us to find out more about Avatar Adi Da Samraj, and the Reality-Way of Adidam Ruchiradam, and to find out what's happening in your local area. 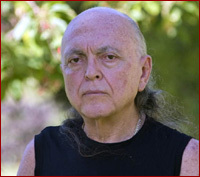 This is a great opportunity -- to discover and be moved at heart by Avatar Adi Da and the Divine Freedom that He Offers. If you can, please attend one of our events. Learning about something directly is always the best way. You can also visit the global Adidam website to find out about events in other cities and countries, and to visit other Adidam websites. *The Southeastern Region of Adidam comprises the states of Alabama, Delaware, Florida, Georgia, Kentucky, Louisiana, Maryland, Mississippi, North Carolina, Pennsylvania, South Carolina, Tennessee, Virginia, West Virginia, and the District of Columbia.